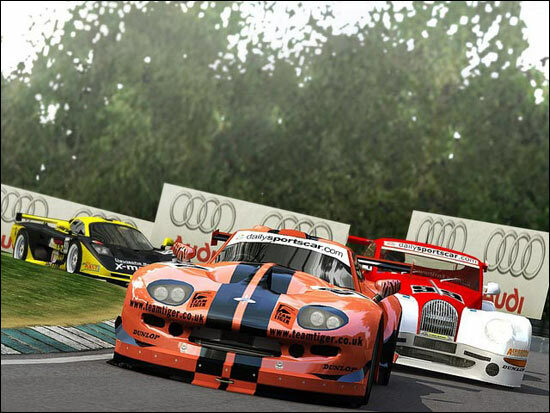 While we’re on the subject of racing games (see previous FIA GT news item), Codemasters’ TOCA Race Driver 3 allows players to choose career tracks through various forms of motorsport - including sportscar / GT racing. One step in that track is the British GT Championship, and we couldn’t help ourselves – we just had to post this image from the game. Our David Lord took the original photographs used to model the cars, and we’re expecting some samples of the game, to offer as prizes in a future competition. The windscreen strips make it a simple task to identify the British GT Championship season on which the game is based – and these two Cup / GT3 / Cup entries will be back for another crack at the title in 2006.